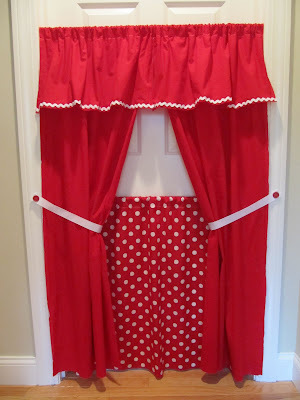 This is more of a technique, rather than exact measurements, because every one's doorways are different sizes and well, so are your children! lol. Just as a reference, my doorway is 34 inches wide. 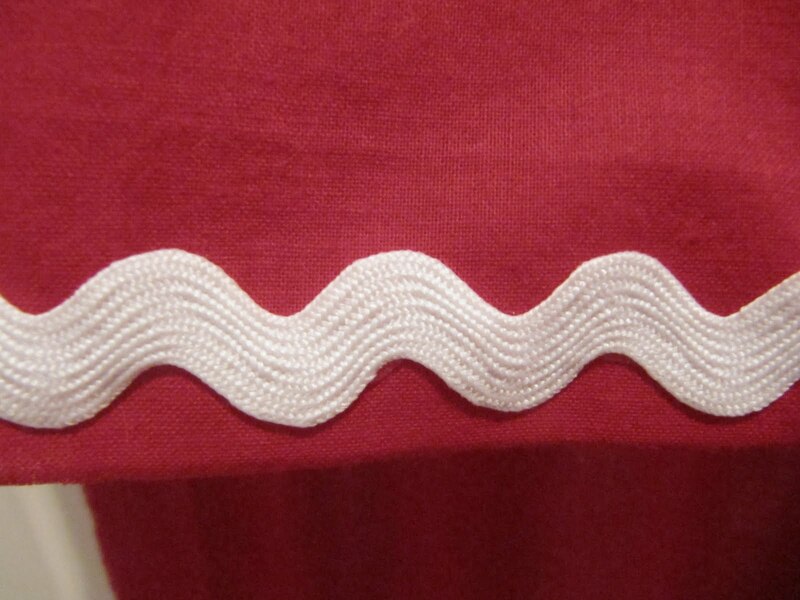 I used 2 strips of fabric that I had. 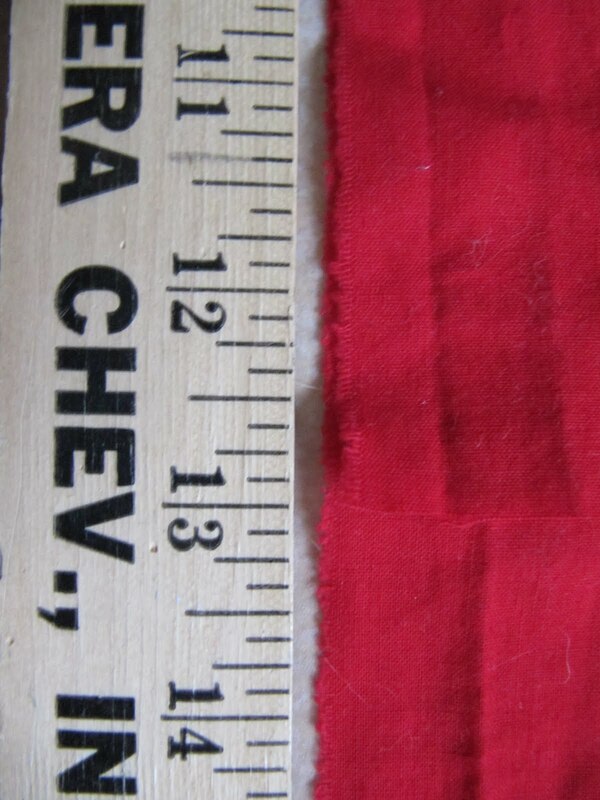 Each pieces is 28 inches wide and 72 inches long. 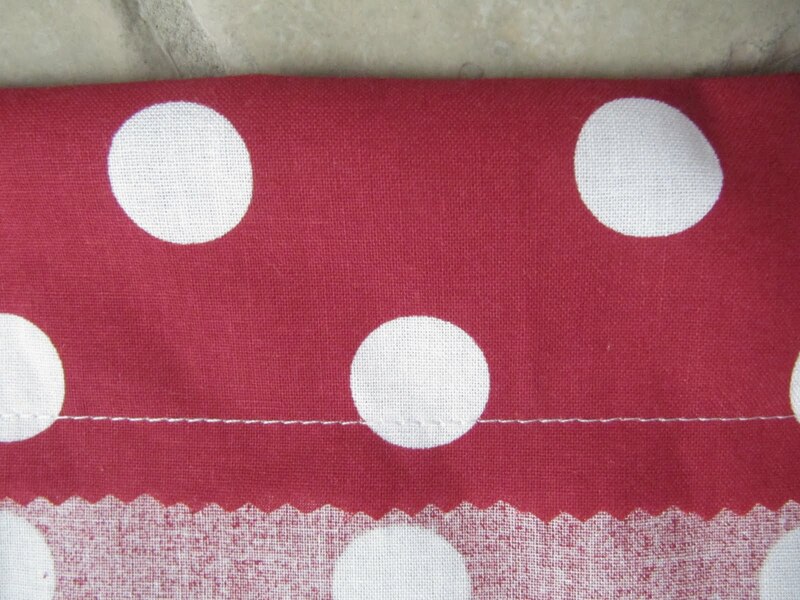 I also had a piece of red and white polka dot that you'll see later. The process for this is really easy. 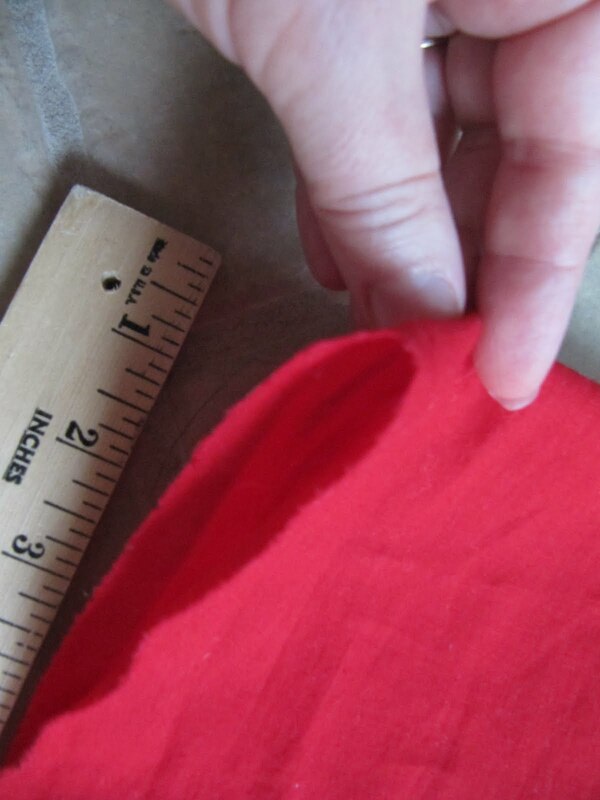 I didn't even hem anything. 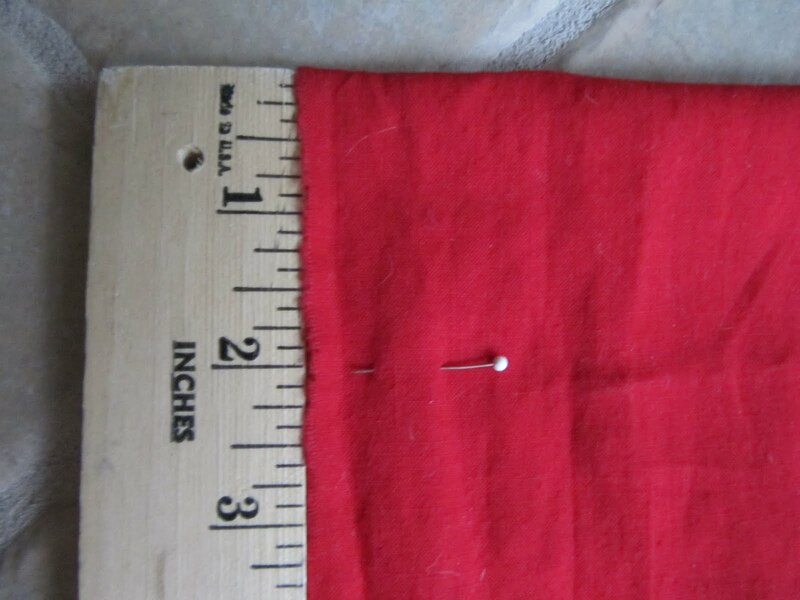 If you don't sew too much, it just took 3 straight lines and that's all...oh yeah and some hot glue. If you don't sew at all, just hot glue everything!! 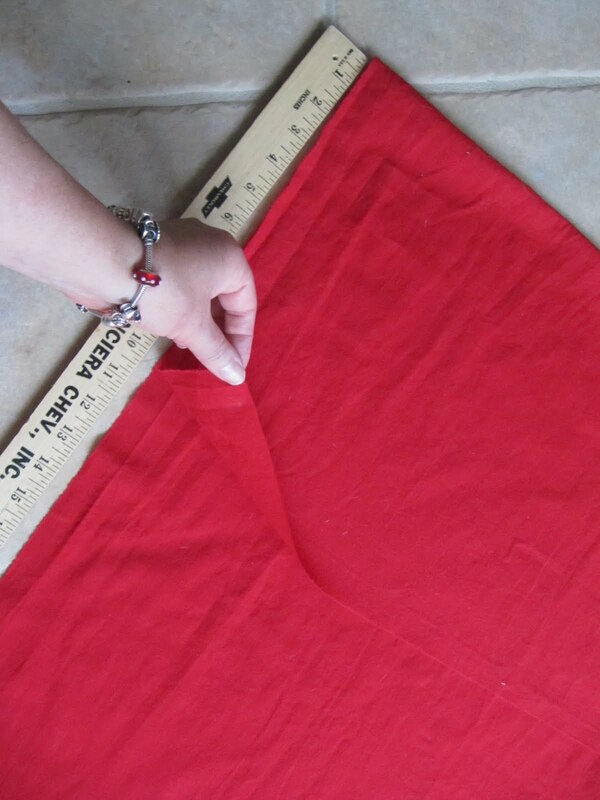 First step is to fold over the top edge down about 13 inches. 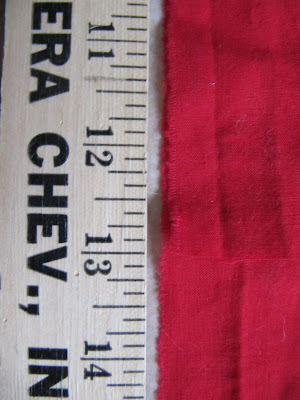 Now from the top folded edge, go down about 2 inches. 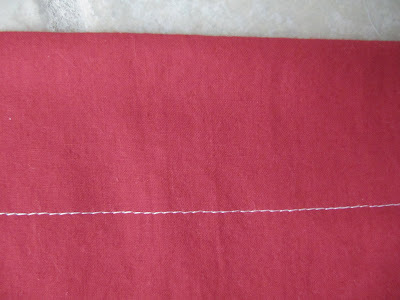 I sewed the channel for the tension rods in each of the long pieces. Here's a quick peek of what it looks like. It's a quick step in making a valence. The only way this works is if your fabric is the same color on both side. 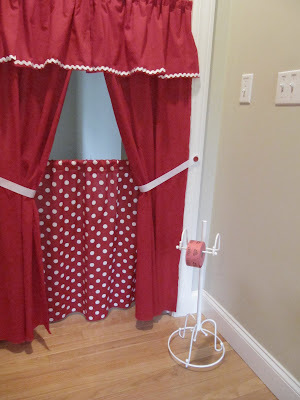 The perfect fabric for this is a cheap flat sheet. 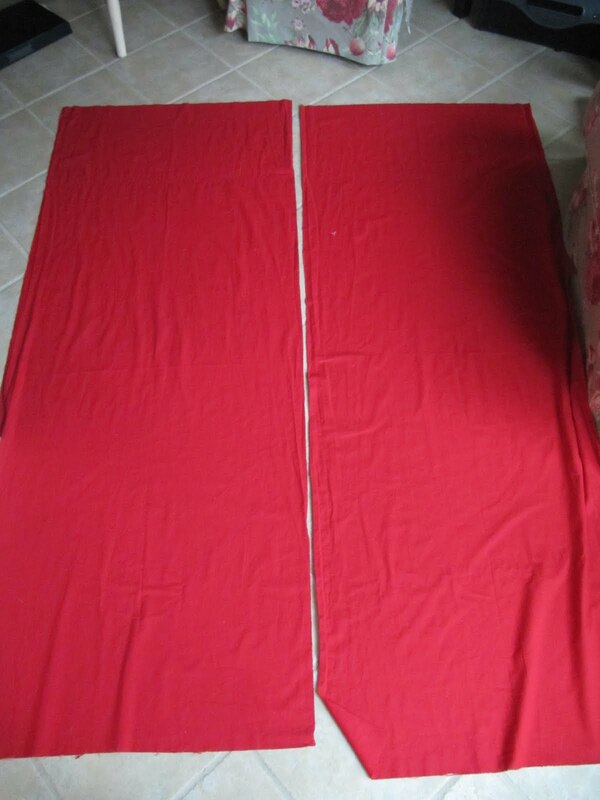 This is the piece of fabric I used for the lower portion of the theater. 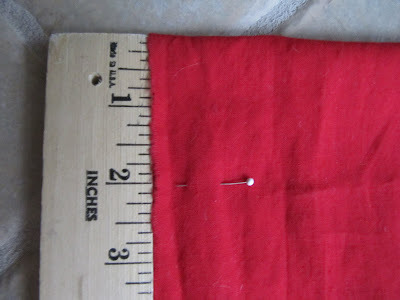 See, I didn't even turn the edge on the hem...I just used pinking sheers! Add one tension rod through the top valence and the second tension rod through the lower portion and your theater is done. 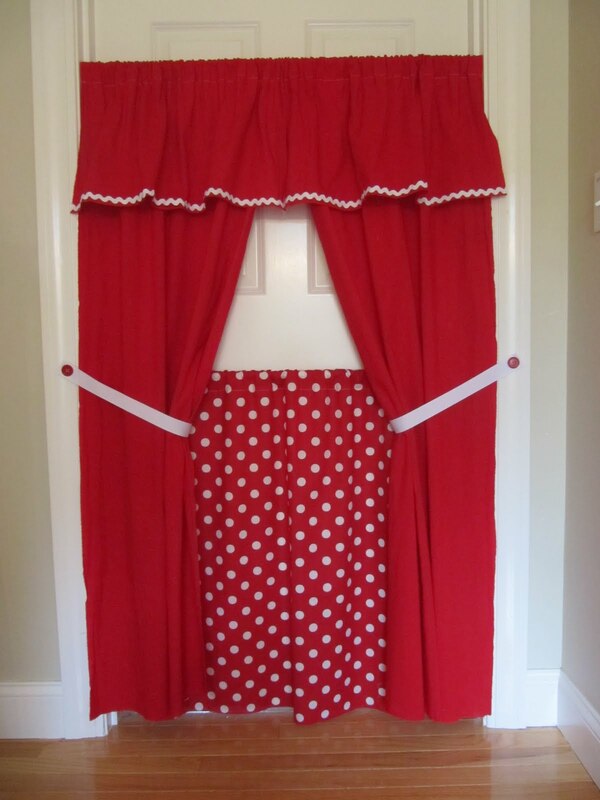 I closed the door so you can see the fabric better without the light shining through from the back, but your little ones will be in the door way behind the curtain with a fantastic puppet show for you. and some ric rac hot glued to the valence edge. This was the driving force behind this project. 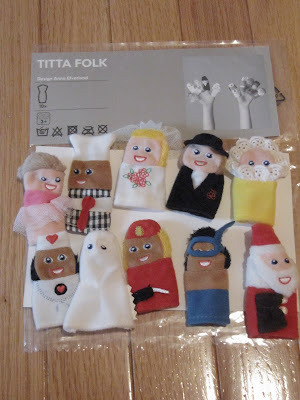 The finger puppets I bought back during my trip to Ikea. Aren't they the cutest and I think only $4.00. Here are the stars of the show. Wish my girls were here to demonstrate rather than leaning these finger puppets up against the door. On second thought, even if they were home, they wouldn't do this for all of you to see. I think they're glad they are away at school right now! You know I tried these on...I just couldn't snap the picture at the same time! Here it is with the door open. 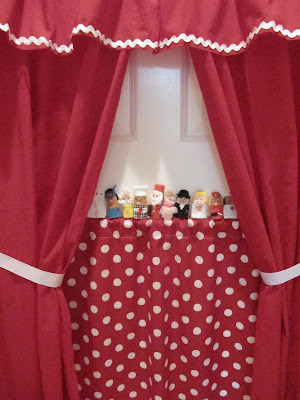 If your little ones don't want to do a puppet show, you can remove the lower tension rod and they can do theater by themselves. I have another little tip for the kids to sell tickets. 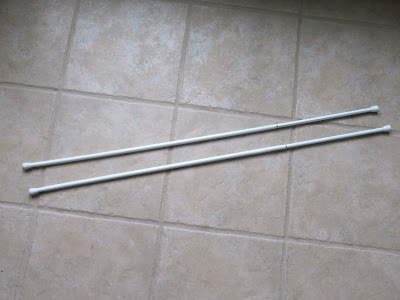 I borrowed this from the girl's bathroom. 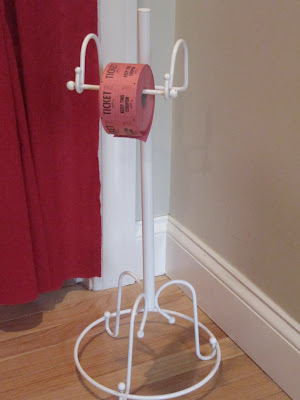 It's a stand up toilet paper holder. Great to sell tickets from. 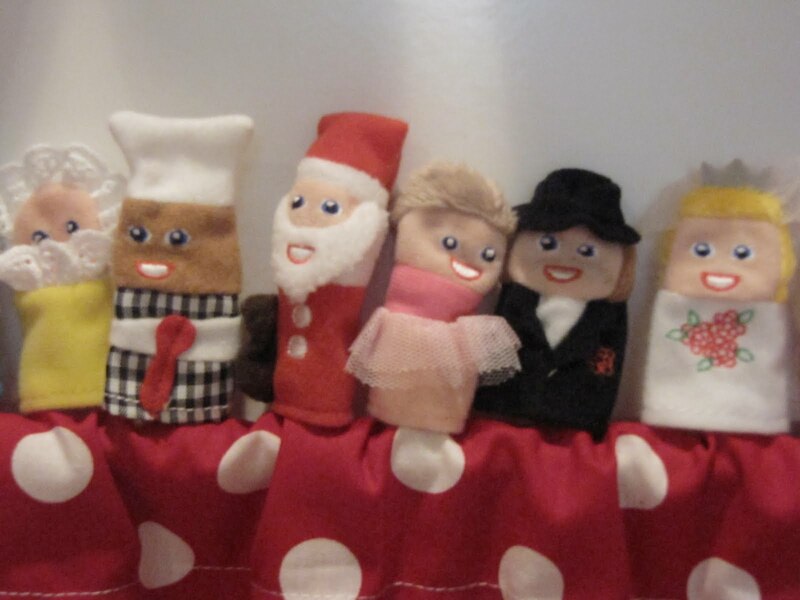 Thanks for the memories...made one of these for my three daughters...over twenty years ago!! Hope your kids love it as much as my kids did!! When they were finished with it I put it in my classroom and they loved it!! Take care!! This is so great! 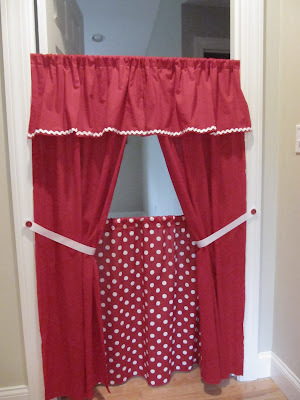 I have always wanted to make my daughter a puppet theater but didn't have the room(or so I thought!). I am adding this to my to do list! Such a cute idea. I get a couple children's toy catalogs around Christmas each year. 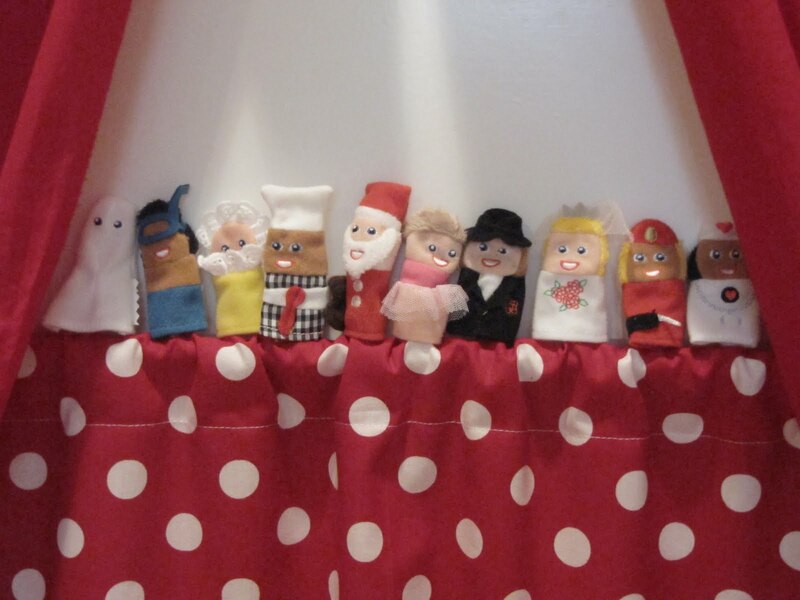 They have had a theater curtain and finger puppets. Not inexpensive I might add. This is such a fun idea. I think I will have to use it when our grandchildren visit. Thank you!! I think a good idea to run by Stash Manicure too..you think??? I've made many of these for gifts and love them!! 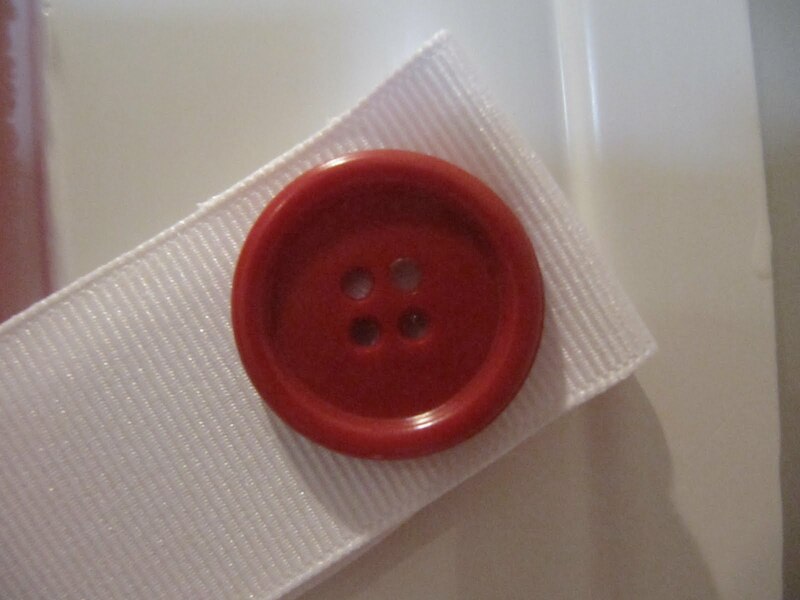 I never did such a sassy red one, though--yours is gorgeous! And, the ticket stand is to die for!! Your idea is incredible!!! I love it. Every one with kids and every grandma needs to have one of these. I'm going to show my Mom. How adorable...I am posting this on facebook! This is the cutest thing.........can't wait to try it. 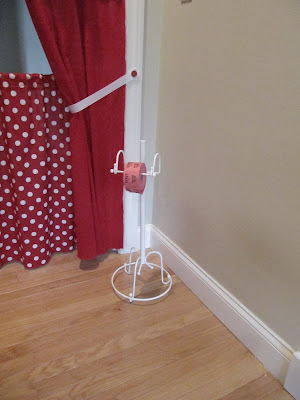 How absolutely funky... And you said about removing the lower tension rod, it got me thinking... 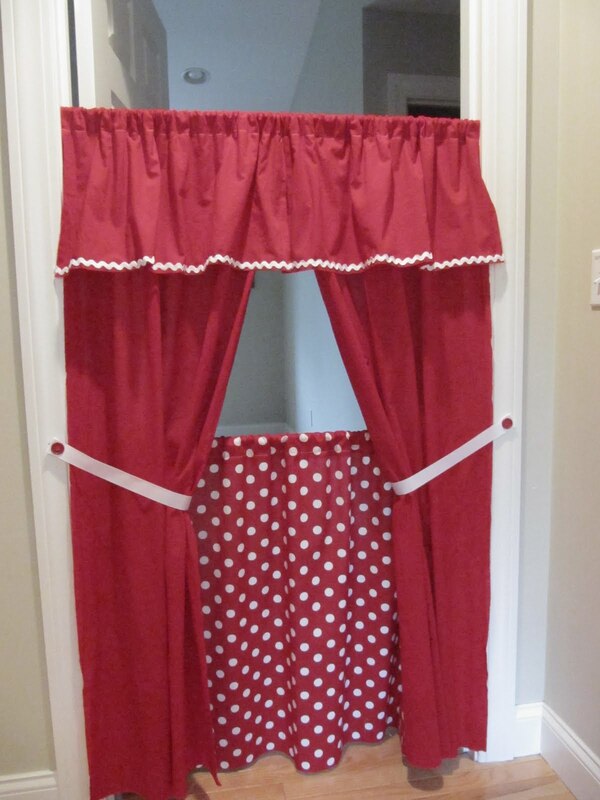 If you had a princessy type girl, you could put the tension rod at the top of the door and have longer fabric that draped down to the bottom of the floor. Very princess like! 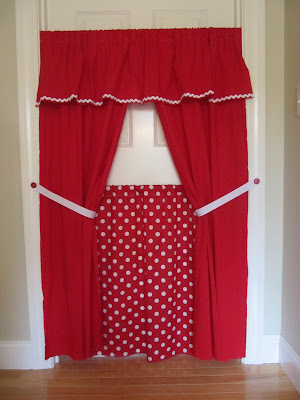 Easy embellishment for a room. It's currently school holidays over here, I might share it around a few people, lots of great entertainment. Great tutorial! 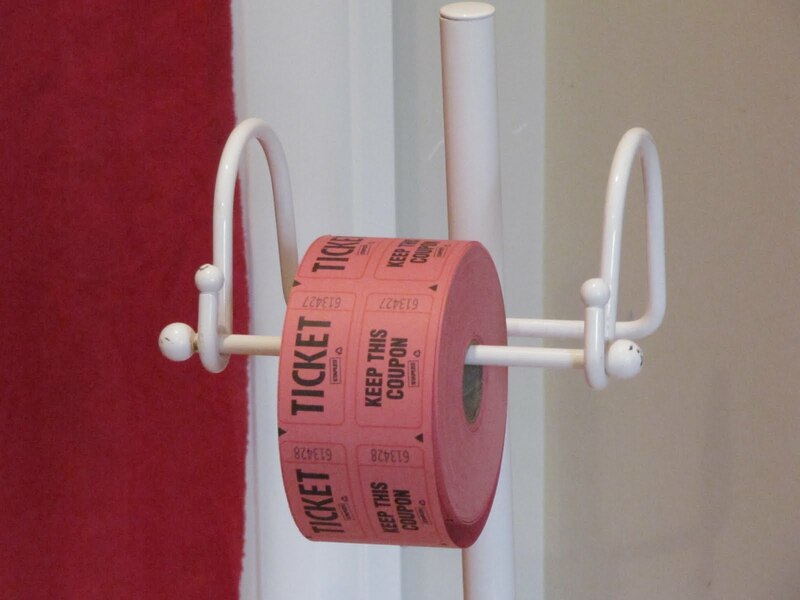 I'm sure you'll get much use out of it. Love the lil scuba diver!! Cracked me up! way cute. . . . good thinking ! Karen! Karen! Karen! This is just TOO awesome!!!!!! You know what I love the best? It can be packed up and put away nice and flat so not taking up much storage space - all the other theatres I've seen are quite big and bulky. YOU ARE A GENIUS!!!! The ticket dispenser is just way too cute! 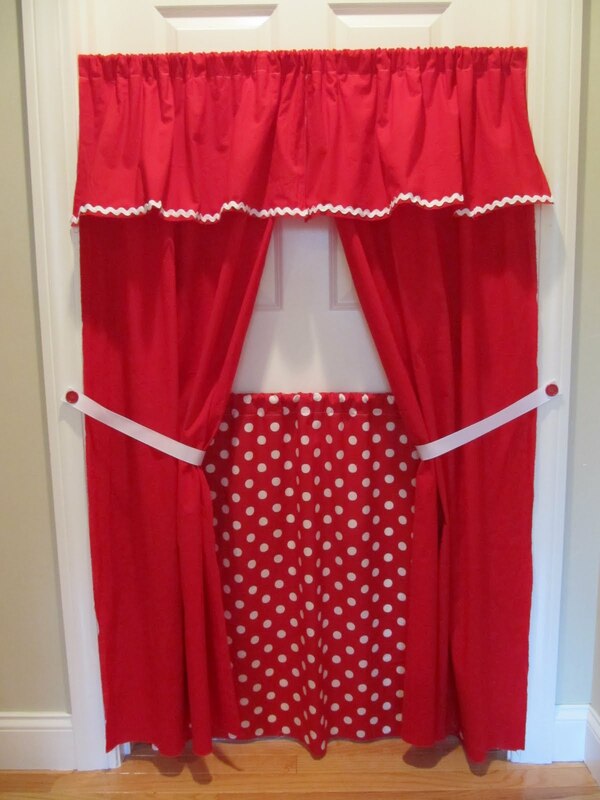 I'm going to make one of these for my daughter for Xmas!!!! Thank you so much sweetheart for all the time and energy you put into your blog and for us readers. You really are incredible and it's much appreciated! Loadsa love you fun, gorgeous gal!!! Fantastic! Granddaughter is too young for this now, but I can start making/collecting the puppets now so I am ready when she is. This is just such a great idea! Thanks for sharing. I feel a little silly asking because it's likely so obvious I'll have an "of course"! 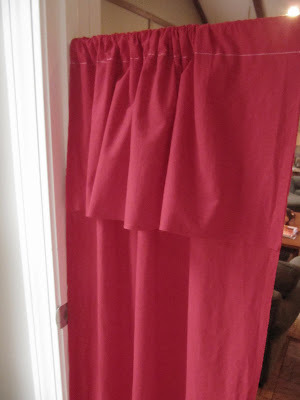 moment, but how did you make the curtains stay to the side so easily? do the tie backs need ot be attached to the doorway somehow or is the lower rod making the tie backs stay put? I'm planning making these for my own kids AND several niece/nephews for Christmas!! love love love the idea! I'm wondering the same thing. 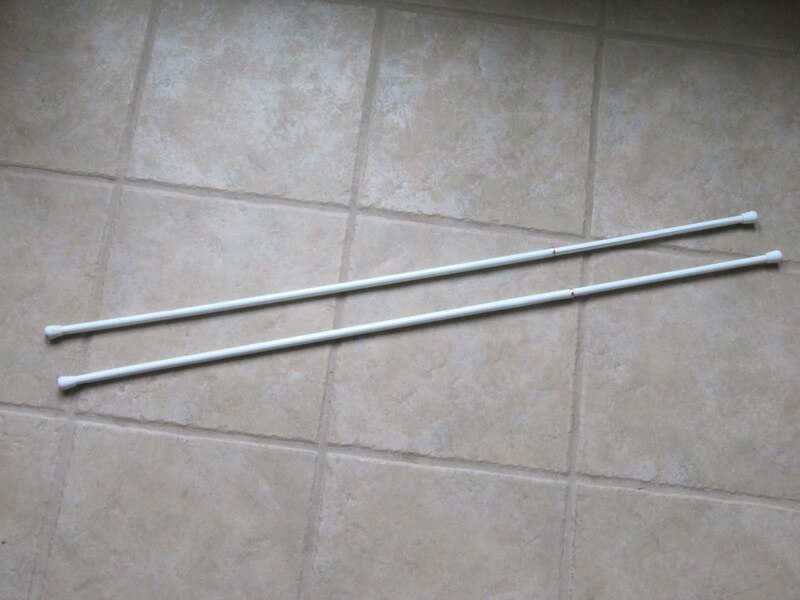 How did you make the tie-backs stay put? Such a cute project! Found you on Pinterest. Thanks!